Fully Capable & Re-Invented: A New Kind of Truck. The all-new 2017 Honda Ridgeline revolutionizes everything we have come to expect from a pickup truck. Fully capable and confident, the Ridgeline isn’t just about doing what other trucks can do. 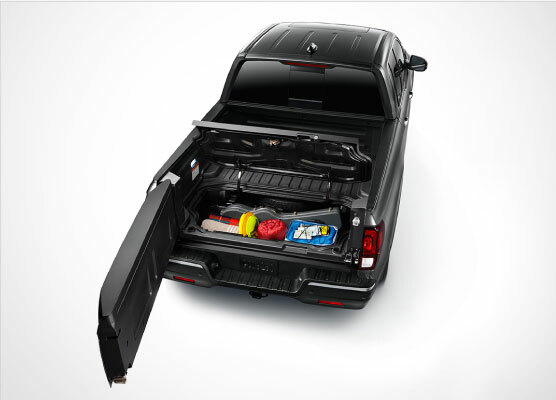 It’s about your active lifestyle around Rochester and beyond… from tailgating at sporting events to mountain or beach runs with toys in tow, the Ridgeline has been re-invented to offer the comforts, conveniences, and technology that you typically need to sacrifice for truck capability and functionality. Honda’s engineering worked its magic to bring not only payload and hauling capabilities that rival the top competitors in the mid-size pickup segment, as well as Best-in-Class Acceleration and Fuel Economy,* but also brand new innovations — inside, outside, in the bed, and on the road — that are sure to leave you excited for a first-hand experience at Ralph Honda. The All-New 2017 Ridgeline has just arrived at Ralph Honda! Simply submit the form on this page or call 585-978-3070 to find out more. The 2017 Ridgeline is here now at Ralph Honda! For the very first time, the expanded Ridgeline lineup offers your choice of Front Wheel Drive (FWD) or All Wheel Drive (AWD) options. The AWD models will employ Honda’s i-VTM4 system with Intelligent Terrain Management, featuring settings for snow, mud and sand. It’s the only active torque vectoring system in the mid-size pickup market. Now at Ralph Honda is the 2017 Ridgeline! 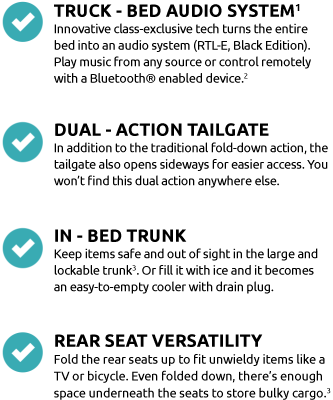 For more information about the latest Honda technologies and features available in the new Ridgeline, you can go to http://future-cars.honda.com/new-ridgeline/, or simply give us a call at (585) 978-3070 to receive updates on its arrival, so you can experience everything first hand. Vehicle must be in Park or moving at less than 9 mph to activate Truck Bed Audio. Carrying too much cargo or improperly storing it can affect the handling, stability and operation of this vehicle. Follow applicable load limits and loading guidelines. Honda reminds you to properly secure cargo items. *Ridgeline RLT-E shown in Modern Steel Metallic with accessory roof rails, cross bars, running boards, fender flares, skid plate, hard tonneau cover, 18-in wheels & all-terrain tires, towing kit and 2-in trailer ball.